If someone who heard you preach last Sunday remembers anything at all that you said, chances are it was one of your illustrations. But illustrating wisely and well doesn't happen automatically. People get tired of hearing the same stories from your life, over and over, year after year. Pulling illustrations from the headlines keeps things fresh but can feel forced if your main goal is to make a biblical point feel relevant. Preachers know how difficult it is to find illustrations that help explain and apply a biblical text. 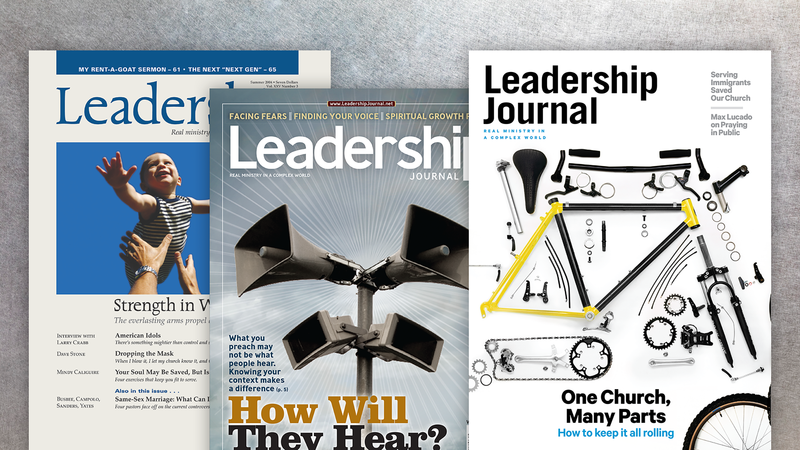 The articles below will help you think about why they matter, what makes them work, and how to make them stick. What's in the Brown Paper Sack? It's time to find other ways to illustrate sermons than me, me, and mine. I can think of no better way to show how insidious personal illustrations are to preaching than to share a personal illustration. I'm aware of the irony, but it can't be helped. Trying to drive home a point about grace in a sermon I preached at my home church, I told about the time when my wife made me angry and I put my fist into a wall in our dining room. Unfortunately, I picked a place in the wall behind which stood an immovable two-by-four. I broke a knuckle. My wife, who had every reason to avoid me for a week or so, treated me gently and took me to the emergency room. Any preacher worth his or her salt will know how to take this bare outline and milk it to the max. And I did. I inserted telling details and funny one-liners. I paused dramatically at the right moments to let the tension build. I ended with a nice turn of phrase that put the whole incident in a poignant cast. I mean, it was good. Too good, apparently, because to this day, years later, people will remark, "I still remember that sermon you preached where you told about putting your fist into the wall." They don't remember Jesus. They remember me. They tell me how vulnerable I was to tell such a story on myself. They tell me how much they laughed. They never talk about grace. This sort of thing happens innocently, starting with the best of motives. A friend on the East Coast told me recently about his pastor. Apparently the man is a gifted communicator. He struts up and down the stage like a comedian at a night club. His sermons are always biblical in content, orthodox in theology, and aiming to bring people to Jesus Christ. My friend has noted though how this pastor begins every sermon with a personal illustration. The illustration may be about something that happened to him in college, or to him and his wife on a recent trip, or to his kids (three boys between first and fifth grade). Lately this pastor has also been concluding his sermons with a personal illustration, and a few times, a personal illustration has been the hinge in the middle of the sermon. 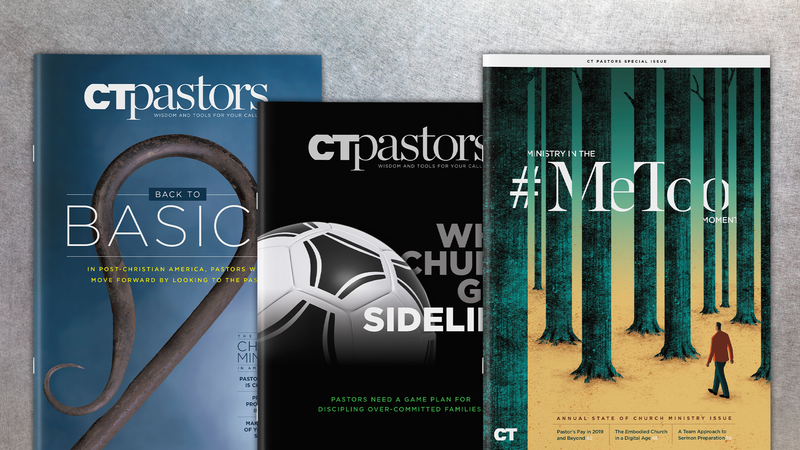 My friend says he's slowly become aware that the medium has become the message—the sermon has inadvertently become a showcase of the pastor's life and faith—and this by a pastor who my friend describes as humble and desperate to win people to Christ. Phillips Brooks once described preaching as "Truth through personality." Indeed. But with the flowering of the personal illustration, preaching often morphs into "the truth of my personality." It was just a generation ago that the personal illustration was suspect. Homiletics professors frowned on the preacher bringing himself or his family into the sermon. It was unseemly, not serious exposition. But the 1960s introduced the therapeutic age. Today, the personal illustration is de rigueur. If you don't use personal illustrations, people wonder whether you are authentic. 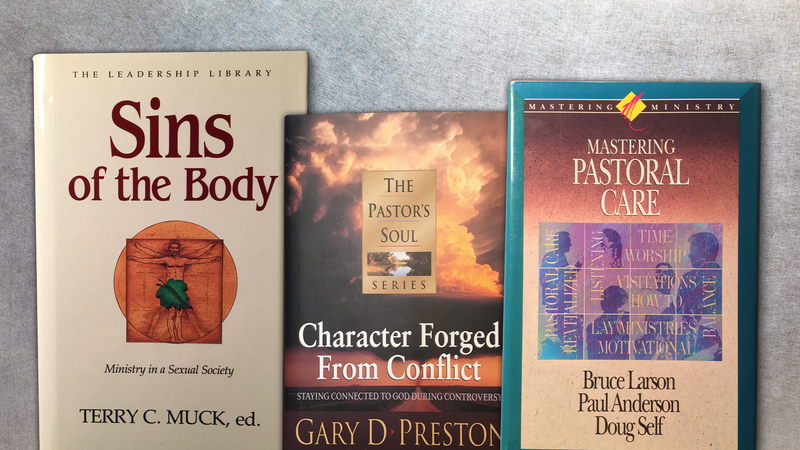 The sermon has inadvertently become a showcase of the pastor's life and faith. Less about the centrality and greatness of Jesus. This is one reason we're so easily tempted to illustrate the gospel with our lives. In a therapeutic culture, we are anxious to connect with listeners in a personal way. The personal illustration is the easiest way to do that, especially if you can describe a personal flaw or mistake humorously. Here's another reason we're tempted: When it's Saturday night, and you are desperate for an illustration to kick off the sermon or drive home the main point, there is nothing so handy as a quick mental search through our memories. It's almost as instant and reliable as Google! And so much easier than plowing through dozens of books, publications, or even illustrations on PreachingToday.com. Finally, we're hooked on personal illustrations because our listeners adore them. They love a good story, especially if it's a funny story about a pastor's most embarrassing moment or about cute kids doing cute things in the pastor's home. It makes everyone feel warm and fuzzy and connected. It's so much more interesting than theology or the Bible! And it makes people like the pastor. Who doesn't want to be liked? I've come to believe, however, that if we can't break the personal illustration addiction, we'll slowly but surely leave listeners with a new gospel: "Pastor Bill is such an authentic man, with a wonderful family—and such a great sense of humor!" People will recall vividly stories about the pastor's kids or those marital spats, or that sudden revelation at the Grand Canyon, and only have a relatively vague idea of the grace and greatness of Jesus Christ. To battle this addiction in my own preaching, I'm trying three approaches, which I've rediscovered are classic homiletic moves. 1. Illustrate like Jesus. I'm trying to draw more examples from everyday life, and not my everyday life. I try to think of things I've observed about nature or daily life in the suburbs. Or I'll create an analogy or make a stab at a parable. 2. Illustrate with the Bible. This was a favorite technique of the early church fathers. A preacher in my church is a master of this. To illustrate how we disobey God, he rehearses the story of Jonah. To illustrate the feeling of despair, he'll read something from the Psalms or Lamentations. This not only illustrates the point at hand, but it helps biblically illiterate listeners learn their Bible. 3. Illustrate with discretion. Sometimes I build from a personal experience, but do so in a way that doesn't draw attention to me. If I want to show how fickle we are at being grateful, I could describe a scene at my dinner table when my kids were young, how they'd argue about who "had to" say grace. This could easily be crafted into a cute homiletical story about my family. Or it can be universalized, that is, it can be told in such a way that it is about an experience everyone has had: "Many families know how reluctantly we are to give thanks—just think of how many dinner table arguments we've heard over whose turn it is—and isn't!—to say grace …"
If well crafted, an allusion communicates that, yes, I have experienced this sort of thing—thus helping people see that I'm not preaching six feet above them. But it doesn't draw their attention to me, but to the common human experience we all share. Even if we avoid personal illustrations altogether, it does not guarantee people will remember and have a vivid impression of Jesus Christ. But at least we will not inadvertently become the focus. 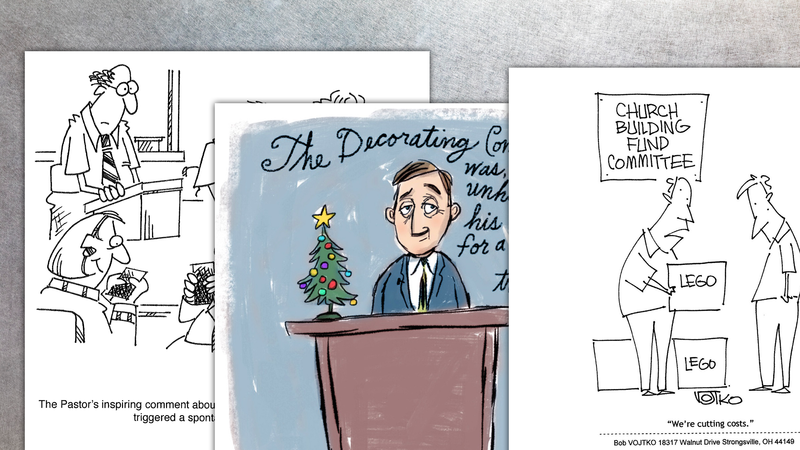 To be sure—to boycott or severely restrict the number of personal illustrations makes sermon preparation much harder! But in the long run, I believe it will make us better preachers through whom the truth of Christ reverberates. Mark Galli is senior managing editor of Christianity Today, and author of A Great and Terrible Love: A Spritual Journey into the Attributes of God (Baker). Copyright © 2010 by the author or Christianity Today/Leadership Journal.